What happens when two fab lingerie bloggers with a passion for vintage clothing and pinup styling also share a commitment to representation and inclusivity in the lingerie industry? You get Fortuna Femme, a brand-new pin-up boutique created by Jessica DiLullo and Amandea Lea that just launched today to provide vintage-style lovers with period-appropriate underpinnings. Not only have they curated a really great selection of bras, shapewear, suspender belts, slips, nightwear and more from contemporary brands like Parfait and Gossard, they’ve got some amazing vintage styles! 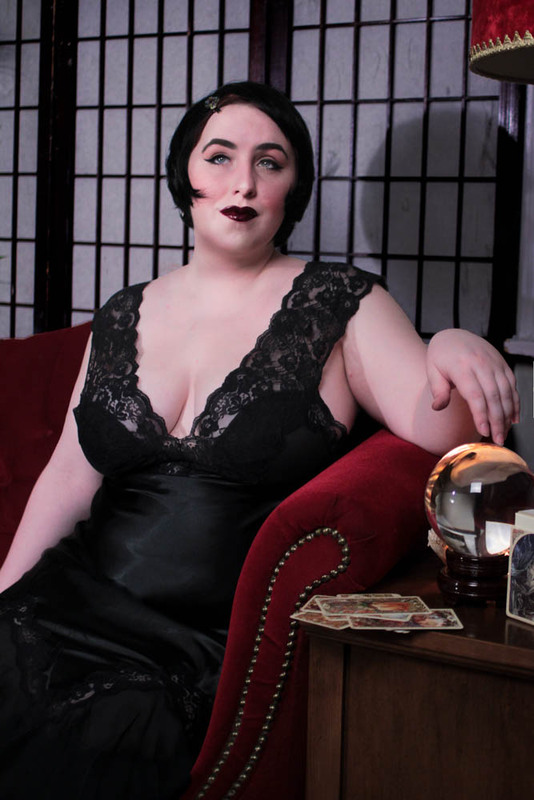 I generally assume that any vintage lingerie out there will only be available in very small sizes, but Fortuna Femme proved me wrong, with several of their vintage pieces available up to size XL or higher. You can shop the site by brand, browse categories, or, best of all, by a few different considerations: sensitivity and fit. Fit considerations include items for different bust sizes, body shapes, torso lengths, and heights, while sensitivity considerations include vulvodynia, hypersensitivity, and mastalgia. The initial collection is nicely curated– you won’t find 100s of options like you would at a large e-retailer, but there is a great range of pieces for a wide range of body types, and they’re all modeled by a fabulously diverse group of models. I can’t get enough of the glamorous first lookbook, and I found myself clicking through every item on the website so I could see more images of the amazing models. Every product listing includes a detailed size chart to assist with the online shopping process. If something catches your eye, be sure to use code ‘Welcome10′ to receive 10% off your order through May 15! I’ve put up some images of my favorite pieces below– what catches your eye? For more information on Fortuna Femme, be sure to check out The Full Figured Chest’s excellent post today!